A university technical college in Birmingham has become the first school in the country to install always-on, 360-degree cameras in all of its 28 classrooms. 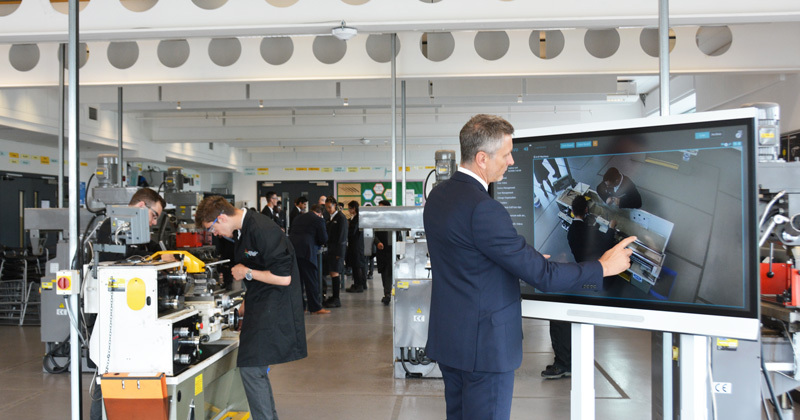 Aston University Engineering Academy, which caters to just over 600 14- to 19-year-olds, officially launched the video equipment at an event at the UTC on July 18. AUEA has been sponsored by ONVU Learning, creators of the camera system, to trial it over the past academic year, with the aim of helping teachers to review and improve their performance. But while senior staff at the UTC are enthusiastic about the new technology, other experts have questioned some of the risks it may present. The 360-degree classroom footage is owned by the teachers, who can zoom in to specific parts of the classroom to reflect on the success of their lessons. They can also share clips with a coach from ONVU Learning to get feedback and suggestions for improvement. Principal Daniel Locke-Wheaton said he believes the cameras will help with recruitment and retention, allowing teachers to have “ownership and control” over their lessons and instilling a “climate of sharing advice”. Vice-principal David Chapman said the always-rolling cameras remove the “Hawthorne effect” of standard teacher observations, where the presence of an observer influences the behaviour of students and teachers. “Even the fact of a senior leader walking into the classroom to sit at the back can completely alter the dynamic,” he said. The cost of the camera system is currently £4,500 per classroom and ONVU recommends it is used across three to eight rooms, with a focus on helping newly qualified teachers to hone their skills. Discounts are offered on a case-to-case basis and the company is developing a rental scheme to deliver from September. 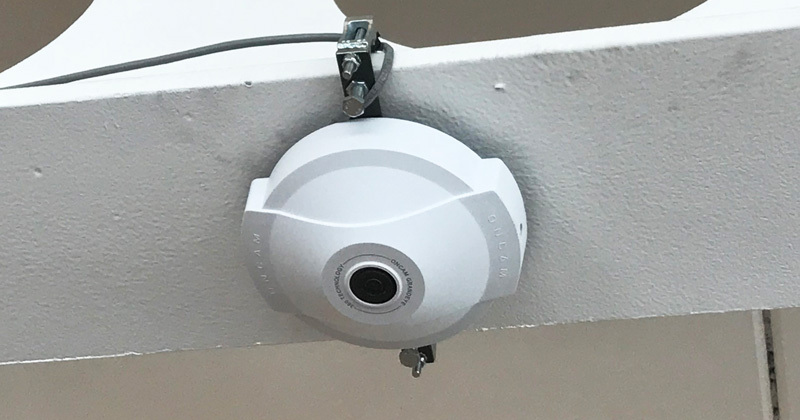 Kate Grimley Evans, head of the information law team at Stone King LLP, said schools should seek specialist data protection advice and carry out an impact assessment of privacy risks before installing the cameras. READ MORE: A camera in EVERY classroom: would you do it? “Putting the teacher in control would appear to mean that the school does not become the data controller of the footage, but that does not mean that the school can abdicate all responsibility,” she said. Dawn Jotham, product development lead for education at Educare, a company that provides training on safeguarding, warned schools to be “cautious” about installing the technology. It is important to ensure teachers don’t feel mistrusted by the oversight and pupils are not made uncomfortable, she said. Steven Forbes, security, compliance and online safety specialist at information technology company RM Education, said the innovative approach offered “clear advantages”, such as being able to review how engaged pupils are in lessons. But schools will need to have clear guidance for pupils, teachers and parents on how the footage will be used, he added. The old adage about ed tech innovation requiring a twenty-year timeline holds true yet again. In the first few years of the century the DfE funded a pilot of such systems (though using different cameras) in a number of classrooms in a selection of schools. In one that I visited the teaching unions were initially hostile, and only teachers that volunteered could be asked to teach in these rooms. After a number of months, far from being shunned they were becoming overbooked, as teachers found the ability to review and observe their lessons something of real value… so the school funded some additional rooms to be video-enabled! They were also very useful to teacher-training institutions, and one school in the East Midlands regularly had groups of students watching lessons remotely rather than in the room – valued by both participating teachers, and the trainees’ lecturers alike. A wheel definitely worth reinventing – and I am sure the technology is superior to the modified surveillance cameras used back in the day.